The deaths occurred in both private and public care homes across Finland between 2017 and 2018. The National Supervisory Authority for Welfare and Health (Valvira) said it is investigating up to 15 deaths suspected to have been caused by staff negligence, including at nursing homes managed by the embattled Esperi Care company, which has been at the centre of allegations of gross negligence at some of its care facilities. The deaths occurred in both private and public care homes across Finland between 2017 and 2018. Inspector general Elina Uusitalo told Yle on Wednesday that she had contacted some of her colleagues and could not confirm the exact number of cases under investigation. The health and welfare watchdog can decide to investigate care home irregularities in very serious instances. These cases may include suspicions that residents perished as a result of malpractice or negligence. Yle received information about numerous cases in which members of the public blamed care facilities for their elderly relatives' death. Some of them have lodged complaints with Valvira, while one has taken the matter to the local regional administrative offices. Yle's reporting focused on two specific instances involving the deaths of elderly care home residents in central and southwest Finland. 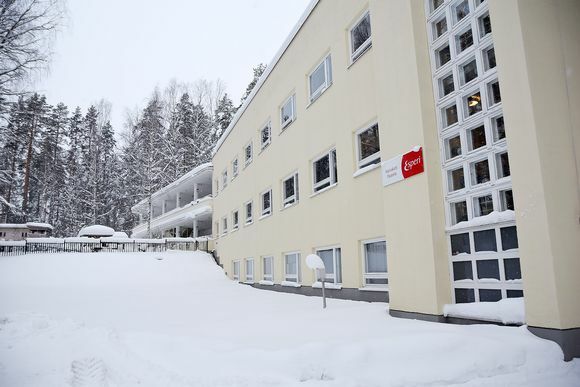 One of the cases reported to Valvira occurred in June, 2018 at the Paatela nursing home in Muurame, central Finland, when a group of elderly patients were spending supervised time outdoors on a large balcony. The mother of local resident Minna Hietakangas was also on the balcony. Her nursing guidelines specified that she could only move about with physical support from a nurse. Her personal nurse, however, left the balcony to attend to another task on a different floor of the care home. During this time the woman lost her balance and fell, hitting her head and causing a haemorrhage in the dura mater, under her skull. The primary nurse for the elderly Hietakangas returned after being telephoned that her charge had fallen. The nurse wrote in her report that the patient had a bump on her head. By the time paramedics arrived, the patient's speech had become slurred and incoherent. An operation was deemed too dangerous, and she died four days later at the Muurame health centre. The daughter of the deceased said her mother had been a nurse herself. "She always put the wellbeing of her patients first, the health of other human beings. It feels so terrible that this should have happened to her." Muurame care home manager Simo Oksanen declined to comment on the circumstances surrounding the woman's death. Another case in the Kukonkallio centre in Salo lead to the death of an elderly man diagnosed with a memory disorder. A bowl of plums had appeared in the dementia unit of the care home. The patient in question needed to be regularly fed by a nurse due to difficulty chewing and swallowing, but found and ingested the fruit unattended. The patient choked. Following an autopsy, the man's family contacted nurses at the unit to discuss the alleged negligence. One anonymous family member said the response was chilling. "They downplayed the choking and tried to justify themselves by saying they had not brought the plums to the unit themselves. But it was their duty to oversee that unit, and make sure it was safe for patients with memory disorders," the family member wrote to Valvira.